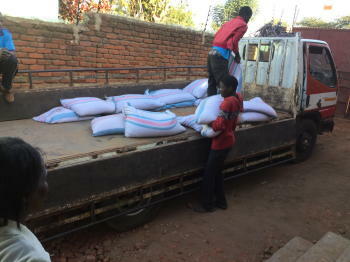 The Cincinnati East United Church of God took up a collection to provide food for drought-stricken Malawi brethren. 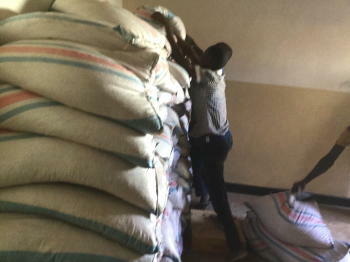 The last two growing seasons in Malawi and Zambia have been challenging. The rains have not come in due season. In some places the rains start and the crops germinate but then the rains are not sufficient to give growth to the seedlings and they dry up or do not mature properly. In one area they received only three days of rain all year. When the rains are sporadic or even not at all for long periods of the growing season the entire country is put into jeopardy of a severe food shortage. 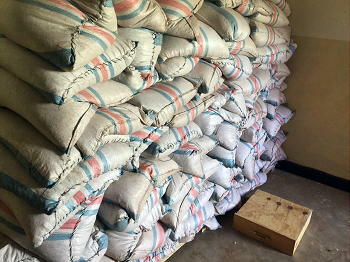 Last year was challenging and on our recent trip to Malawi we learned that this year is even worse. It was determined at that time that we should purchase grain now at harvest time (seasons are opposite from us in the Northern hemisphere) when the prices are at their lowest and we will store the grain for distribution later in the year when the food shortages become a problem. In the coming months the prices will also rise dramatically. 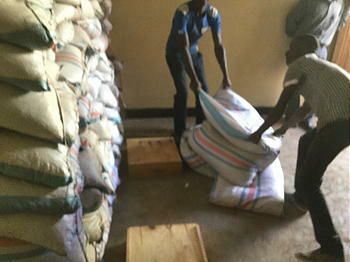 300 bags of maize are being purchased (50KG each) for future needs. 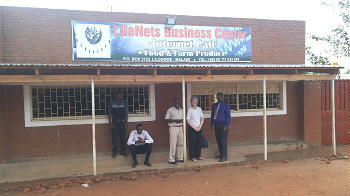 They are being store at the LifeNets Business Center in Lilongwe in one of the shops that is still not allocated for use. Again, we want to send a very big "thank you" to the Home Office Cincinnati East church for their help in donating to this cause. When they learned of the need they quickly and generously donated $2750.00 for the purchase of the grain.